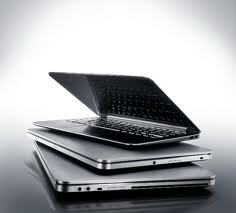 Laptop systems have grown in popularity due to their increasing performance and portability. For many people, they offer more than enough performance and features that they have completely replaced the need for a desktop computer. This guide will help you to look at some of the key items you want to look at before you purchase your next PC laptop system. Obviously the size and weight of a laptop is important. Ultra thin laptops such as Ultra books may be extremely portable but often lack a few features. Desktop replacements have equivalent power to desktop systems but they are heavy and bulky making them difficult to carry around. When shopping for a laptop, make sure to pick up the systems and verify its something you are willing to carry. Don't forget to also consider the weight of accessories such as AC adapter when carrying around the laptop. Mobile processors typically were slower than desktop CPUs but that has changed. Dual-core processors are typical now with quad core models available for those looking for better multitasking. The type of processors found in the laptop will vary based upon the size and purpose of the laptop. They have a direct impact on performance as well as battery life so comparison can be difficult. It should be noted that most ultrabooks use a lower speed processor to try and conserve power which can impact those looking to do more demanding tasks. Laptops are generally more restricted in the amount of memory they can have compared to desktops. When looking at computers you want to make sure to check out the maximum memory the system can handle as well as the amount that is installed in the computer. It is also useful to find out if a memory upgrade can be done yourself or if it has to be done by a technician. Four gigabytes should really be the minimum amount of memory to consider with 8GB for improved performance. The video on a laptop computer is comprised of the display and the video processor. The display is defined by the screen size and the native resolution. The larger the display, the higher the resolution will typically be but it also will impact how portable the system is. The graphics processor will determine the performance of the computer in things such as 3D gaming or for accelerating non 3D applications. How much storage space will you need? Hard drives are fairly straight forward in terms of the size and the performance may be impacted by the rotational speed. More and more laptops are opting to use the faster and more durable solid state drives even if they offer less overall capacity. Optical drives are becoming less important for laptop computers but many still come with a DVD burner. Blu-ray is available for viewing high definition video but are still fairly uncommon. The ability to connect to the net is integral to most laptops today. Pretty much every laptop comes with some form of Wi-Fi built in with the 802.11b/g/n being the most common. Wired networking is still available on most with Gigabit Ethernet being the most typical speed supported. Bluetooth is useful for wireless peripherals and for those that need connectivity in remote locations, a built-in modem or a cellular (WWAN) card are also options. How good is a portable computer going to be if you are only able to get a bit more than an hour of computing time on a single charge? Some systems may advertise all day computing which really translates into almost eight hours which is the typical length of a working day but most are much lower. Try to find the manufacturer's listed battery life for the standard battery. Look to get a system with at least three to four hours of battery life under normal conditions. If you need extended time unplugged, look for laptops with media bays that can double as extra battery slots or have extended life batteries that can be purchased.